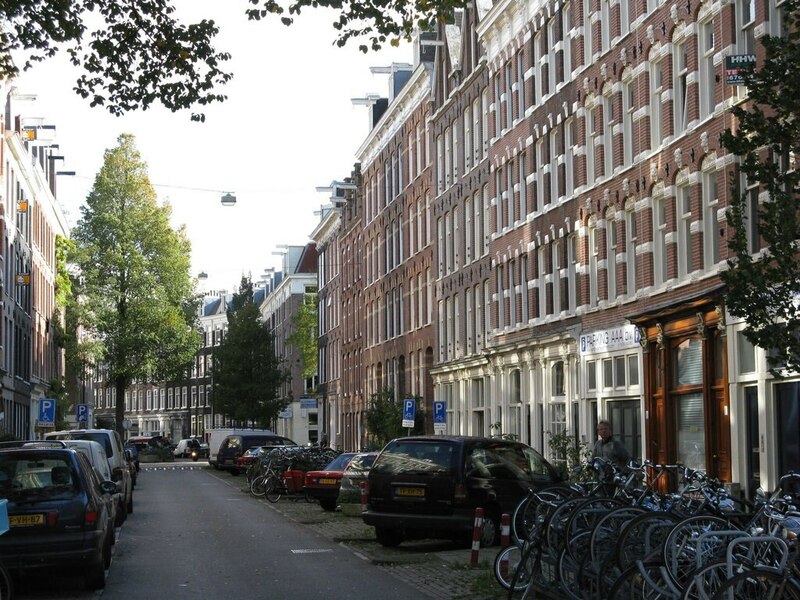 Maybe you have heard of De Pijp; it is one of the most loved neighbourhoods in the city of Amsterdam. It is located south of the city centre and filled with hip and 'gezellige' restaurants, bars and shops. With De Pijp as your home base in the city, you are sure to have a wonderful time in Amsterdam, with a lot (!) to see, do and experience. Follow our guide for the best places to eat, drink, shop and go out. 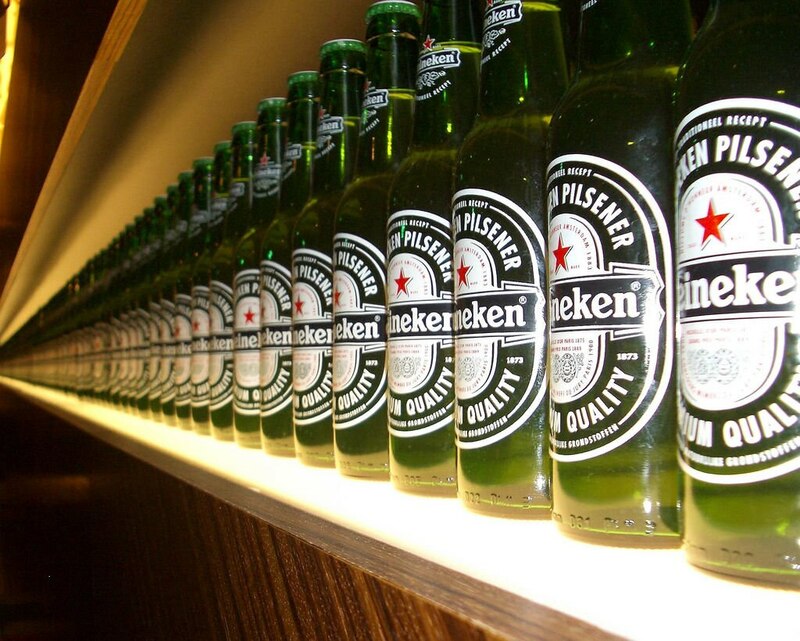 The first Heineken brewery was located in De Pijp. By now, the brewery has moved, but the former Heineken Brewery in De Pijp was transformed into a museum and visitor experience centre, named The Heineken Experience. Pay a visit to the museum to learn more about the history of the brand as well as the brewing process. You will get an interactive multimedia tour through the brewery and, of course, you can have a beer. Another world-famous company is the Royal Asscher Diamond Company, also situated in De Pijp. The company has a long history, starting in the 19th Century. Asscher Diamond Company developed the Asscher cut and was also chosen to cleave the biggest diamond in the world, as well as the biggest diamond of all times. 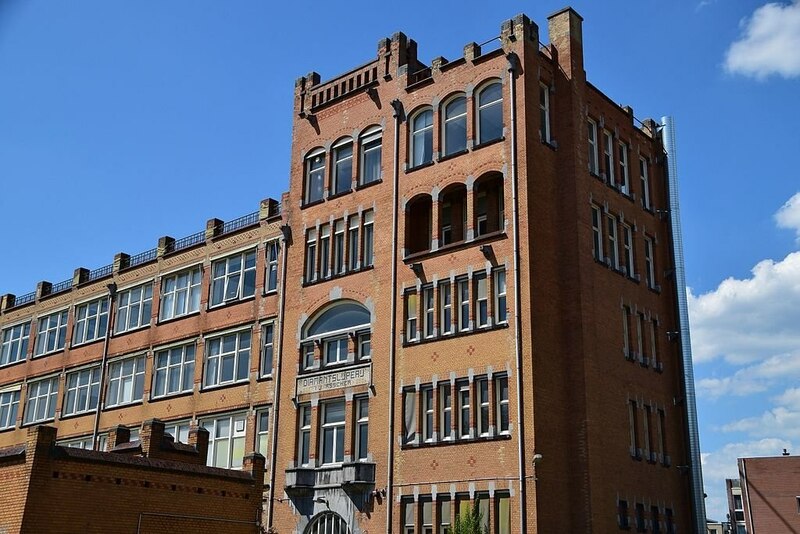 During World War I, the company housed 250 Belgian refugees in the building. The Sarphatipark is a green oasis in De Pijp. 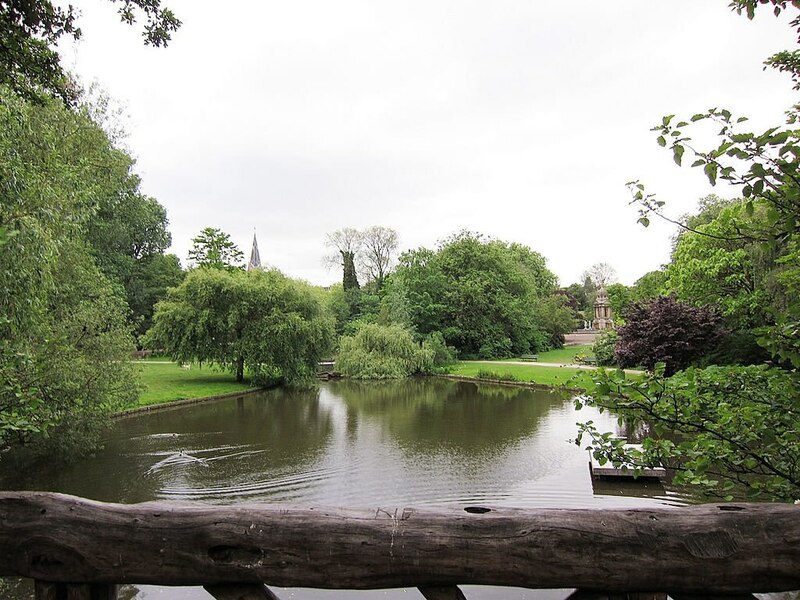 It is a small park and not nearly as famous as the Vondelpark in Amsterdam, but the Sarphatipark has the same to offer. It is a great place to go running or work out (it even has a gym! ), to enjoy the weather (have a picnic, take some drinks or just hang out) or for kids to play on the playground. 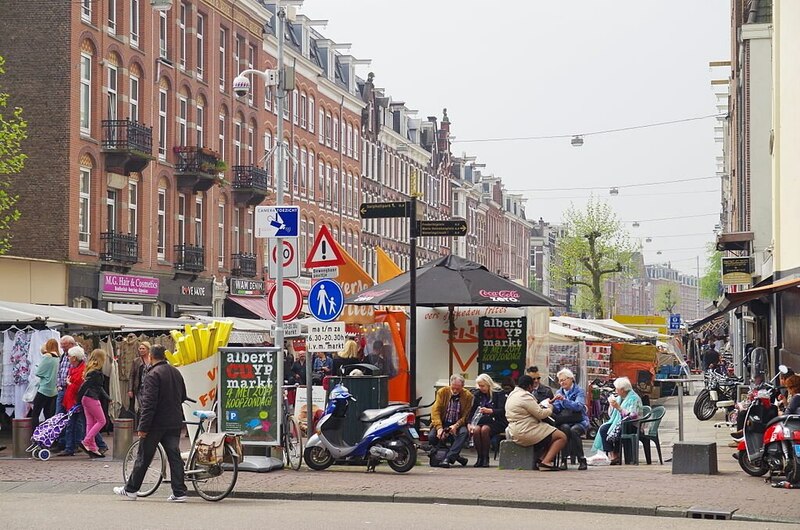 When staying in De Pijp, you definitely cannot skip a visit to the Albert Cuypmarkt. It is open six days a week; anything and everything is sold here and the market attracts both tourists and locals. The Albert Cuypmarkt is the busiest market in the Netherlands and is said to be the biggest day market in Europe. The area around the Marie Heinekenplein, Frans Halsstraat and Gerard Douplein is home to many cafés and bars. It is a booming nightlife area for students and is often compared to Quartier Latin in Paris. For breakfast (or breakfast all day), you could go to Omelegg. You can choose from a menu of omelettes, scrambled eggs, sandwiches and all kinds of other foods. Love hotdogs? Visit the diner The Fat Dog and have a hotdog filled with a wide range of toppings. Nothing is too crazy for the Fat Dog! Have some sushi for lunch (or early dinner, as the place closes early): Zen is small and always busy. Their Japanese dishes are mouthwatering! Salad lovers should visit the salad restaurant Venkel. They prepare the most creative salads with mostly locally grown produce. The honey comes from hives along the river Amstel for example - how cool! Of course, you could also get yourself some food at a supermarket or take away and opt for a picnic in the park. Go to CT Coffee & Coconuts for a coffee! The café is situated in a former 1920s cinema and the location alone is worth a visit. Their coffee is also good though. A place with a story: Huiskamerrestaurant is a restaurant that was established in a student dorm room and it might be the oldest living-room restaurant in the city. For a set price, you can eat and drink all night, helping yourself from the fridge. Time for a fancy night out? The five-star Hotel Okura has a popular cocktail bar on the twenty-third floor. Not only can you enjoy a divine cocktail, but you also have access to a stunning view over the neighbourhood (and the rest of the city). Spend an evening in a very Dutch 'bruin café', or 'brown café', named after the colour of a lot of these cafés. 't Paardje is one of those cafés in De Pijp and both young locals as well as older regulars visit the café with its huge terrace. Have a drink while shopping, or shop while having a drink! It is possible at Cottoncake. It offers healthy lunches and organic coffee, as well as clothes, accessories and art. We already mentioned the Albert Cuypmarkt. It is fun for wandering around, but you might be able to find your own treasures, especially if you have an eye for it! Looking for a unique souvenir? Midnight in Amsterdam has a shopping window in De Pijp and an online show where you can buy the items on display. All products have been inspired by Amsterdam. Many shops are situated at the Ferdinand Bolstraat. Just walk up and down the street and you are sure to find a (few) shops that will suit you. So much to do, you would not even have to leave De Pijp for a great trip to Amsterdam. What is on your must-visit list for De Pijp?